It's a question parents and coaches are being encouraged to ask themselves when watching young athletes competing. 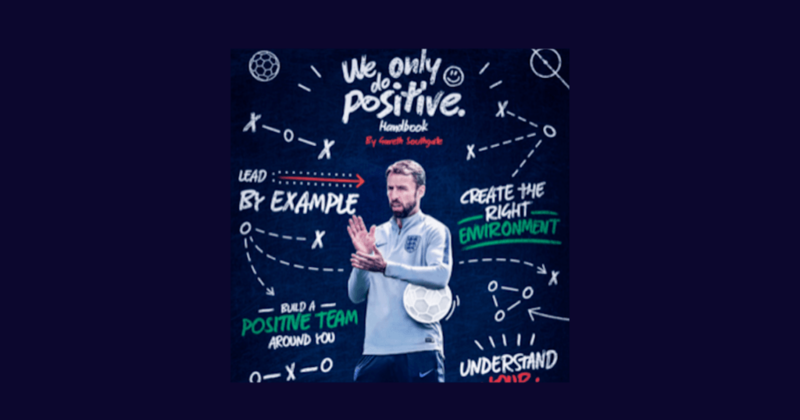 The English Football Association are currently in the middle of 21-day campaign to improve the experiences of young players, coaches and parents. '21 Days of Positivity' #weonlydopositive is an initiative thought up by the national association to eradicate the negative, critical, confusing jargon which is still audible in grassroots football. Why 21 days? Well, it’s reportedly set to take 21 days to form a new habit. Although that may well be a myth, there's no faulting the commitment from the FA to correct the wrongs at the foot of the football pyramid. The parent and coach-aimed initiative was launched by the FA with an accompanying handbook in December by senior England head coach Gareth Southgate. A mock press conference with children posing questions to Southgate was the focal point. It's a slick piece of content with a powerful message. In the video Southgate was asked: "How did you make the England players smile at the World Cup?" "Our environment is quite relaxed," replied Southgate, whose squad made the semi-finals in Russia. "And they can have fun as well as playing football." England DNA contributor and FA Foundation stage lead coach Pete Sturgess labelled the campaign 'further evidence of a clear and consistent approach to player development'. 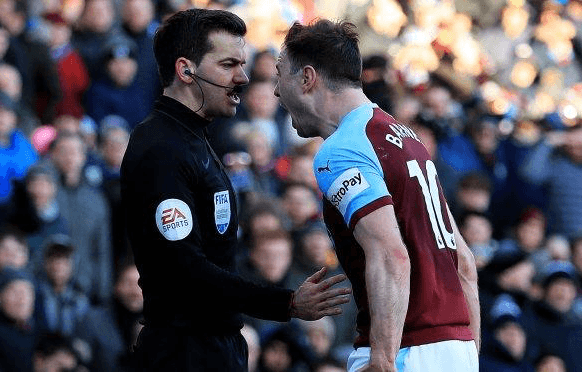 But, despite the committed marketing campaign the FA they must have been cringing at the weekend when Burnley striker Ashley Barnes blatantly, verbally abused a referee's assistant in front of the TV cameras. Barnes was denied what looked like a clear penalty and when he was booked for diving the red mist descended from the Premier League player. "Barnes’ face was contorted with fury, mind raging with a sense of injustice at the penalty he had been denied," wrote the Daily Telegraph, but the footage and images are the sort that fly in the face of the current campaign. And under current English rules, because Barnes was cautioned there can be no retrospective action taken against the player. There is no statute to issue Barnes with a ban - a course of action which would convey the correct message. It was unsavory incident which really does undermine all the best efforts of the FA to eradicate negativity from the grassroots game. A picture they as say is worth a 1000 words - especially such a damaging one. It proves that work still needs to be done, but the the campaign, fronted by Southgate, is slowly changing attitudes through behaviors of fairness, integrity, inclusion and leadership. Southgate says that trying to help young people to improve and reach their full potential is more effective when highlighting things people do well, rather than finding fault in performances. Research shows us that 90% of players perform better with positive encouragement"
says Southgate, who encourages a learning environment. Enable your players to try things without fear of failure. They should be able to express themselves and their personality, to have fun with their friends and grow their love of football." They have to respect the way that you are working as a coach, and vice versa. In a grassroots club, this might be other coaches or it might be the parents that are watching." If the FA can get to a similar level of engagement to that of Malz's theory and the #weonlydopositive message goes viral they will consider it a successful mission. Our kids deserve to start their journey in a positive environment that promotes learning, with negativity consigned to history. Matthew Briggs is the UK Coordinator for GoPlay Sports Tours. GoPlay Sports are a sports travel company who specialize in traveling teams of all levels.